The resource-strapped Coast Guard must quickly enlist the input of observant citizens in the war on maritime terrorism. One model to help deter 21st Century maritime terrorists attacks and successfully integrate the public comes from the 60 year-old Coast Guard “Coastal Pickets” program. In World War II, the Coast Guard deputized recreational and commercial mariners as CG Auxiliarists who provided “eyes and ears” to deter and detect Nazi incursions near U.S. coastlines. This paper examines the utility of similar programs in the wake of the September 11, 2001 terrorist attacks. Anomaly Detectors. While the U.S. Navy braced its ships and facilities for possible terrorist attacks hallmarking the one-year anniversary of the U.S.S. Cole bombing in Yemen on October 12, 2001, the Coast Guard grappled with guarding against low tech, asymmetrical threats to U.S. ports. Sophisticated U.S. Air Force, Navy and Coast Guard aircraft, ships and cutters could develop a fairly comprehensive picture of all the vessels within a great distance from the coastline. But, how could the CG separate the wheat from the chaff, especially among the thousands of smaller vessels, each one a possible threat to cruise liners, gas tankers and key US Navy assets? The answer soon became apparent, partially fueled by a wave of patriotism not seen since World War II. In late September, a local Connecticut fisherman sighted and reported “unusual items” under a bridge. A total of five pipe bombs were found, removed and subsequently detonated by the CT State police bomb squad. In mid September, a Long Island resident reported seeing three men on the beach using high powered cameras with large lenses, which were trained in the direction of a local CG station. In mid October, a local Massachusetts resident noticed a fishing vessel operating very close to shore, in an area not normally associated with fishing activity. The concerned citizen also noted a small runabout in the vicinity of the fishing vessel and a car waiting shore side. The car and fishing vessel communicated with each other using flashing lights. The reporting source provided a description of the car and fishing vessel for investigative follow up. In mid October, two fishermen reported a suspicious individual “working the docks,” inquiring about: purchasing a fishing vessel, what training was necessary to become a fisherman, the time required to get offshore and the location of the nearest CG station. All of the above reports were provided to the respective FBI offices for investigative purposes. In each of these cases, Good Samaritans, who knew who and what belonged on the waterfront, made time-sensitive reports to law enforcement officials. Is it time to more formerly embrace the maritime public in the defense of at America’s ports and waterways? The Coast Guard’s context. The CG in 2002 is the smallest in size as a service since 1967. 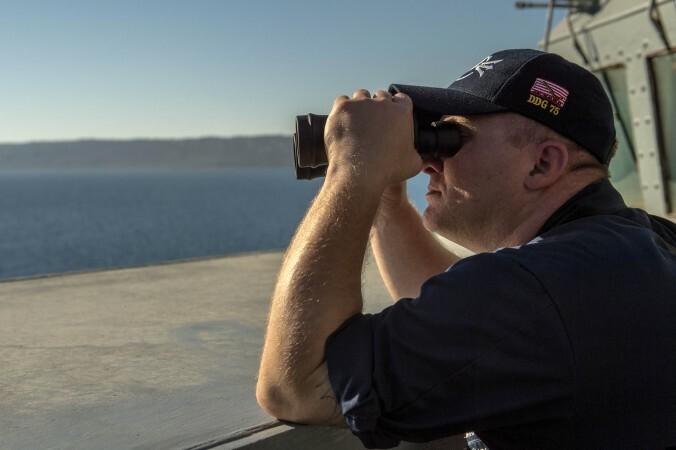 Admiral Loy recently indicated that the CG now has, among its broad spectrum of ever-expanding responsibilities, two primary missions: Search and Rescue, its historical “bread and butter,” mission and the new Maritime Homeland Security mission. A 14 September, 2001 report from the Department of Transportation Inspector General, indicated that the CG’s search and rescue stations “continue to deteriorate.” It also stated that “since 1989, CG studies have identified serious staffing, training, and equipment problems in the SAR program.” This report went on to forecast the population of recreational boaters that the CG oversees will increase by 65 percent from 78 million in 1998 to more than 129 million in 2020. So, the CG’s resource allocation outlook is grim, given the serious pre-9/11 shortfalls and the tremendous added burden placed on the service for Maritime Homeland Security. Until additional resources and the accession process catch up with the Guard’s overall needs, there exists a clear mandate for enhanced MDA to detect and assign limited resources to suspected threats. A Modern Day Coastal Picket Program? The question of involving the public seems to be how, not if, given the CG’s resource challenges. In a 20 September, 2001 meeting between Maine’s Governor Angus King and the CG’s First District Commander, RADM George Naccara, the governor inquired about how Maine’s fishing fleet might be employed in the war on terrorism. Admiral Naccara responded and indicated that Maine would be the site of a new prototype reporting system for fishermen and the maritime public. “I believe I speak for the clear majority of boaters when I say that as a bunch, we are capable concerned citizens who by definition constitute many eyes and ears over our local waters. We value and hold dear the time-honored tradition of assistance at sea. 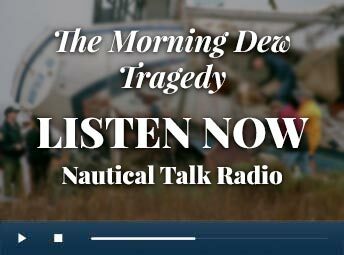 I believe the Coast Guard, by developing and implementing a program of educating the boating public; can develop this asset to strong usefulness.” So, what are the options? Use and expand the duties of today’s CG Auxiliary? Yes, but how? The CG’s Auxiliary in 2001, unlike the original single-focused CG Auxiliary Coastal Pickets from WWII and like its modern-day active duty sponsors, is a fully engaged, aggressively employed volunteer service that has exhibited tremendous value and flexibility in multiple areas. For example, in one CG Auxiliary operational area in the aftermath of the September 11th attacks, volunteer members contributed over 1,280 mission hours in a six-week period. These members conducted safety patrols, harbor patrols, backfilled their active duty rescue station counterparts, stood radio watch and performed many other useful duties. Today’s Auxiliary offers a ready-made professional organization, complete with doctrine, training educational and certification programs. These programs include tremendous outreach efforts to the public, both for educational and informational purposes. Yesterday’s Coastal Picket organization included: “wealthy men, and poor men, as did young men, old men, lawyers, radio personalities, photographers, bank clerks, insurance salesmen, farmers, musicians, fishermen, even dance-hall bouncers.” More importantly, this diversity remains a tremendous asset in today’s volunteer service, coupled with the Auxiliary’s complete integration into America’s boating community. The WWII Coastal Pickets’ patrol, especially off New England’s coast, “was often grueling.” According to some, “it was yachting at the government’s expense in summer, and hard going in winter.” However, in cold weather climates, today’s Auxiliarists, are largely fair weather sailors and their on-water season is at most six months long. This limitation is less critical, since the greatest need for anomaly detectors in today’s war on terrorism will be during busy boating months when the waterways are crowded and the Auxiliary is at full strength. Use Commercial Fisherman as volunteers? Commercial fishermen work their trade year-round in some of the harshest weather known to man. They also have familiarity with both near shore and off shore “normalcy.” However, fishermen are an independent group. It appears unlikely that they would consider becoming CG Auxiliarists as they did during WWII — joining the agency that continues to oversee and regulate their livelihood. In a 27 September 2001 letter to the New England Fisheries Management Council (NEFMC), RADM Naccara, USCG, invited the council’s ideas to better incorporate fishermen in the war on maritime terrorism. NEFMC responded with the suggestion that a new government-sponsored program that will provide at-sea e-mail and tracking systems for fisheries scientific purposes could be modified for voluntary homeland security reporting protocols. Under this scheme, pre-selected fishermen would provide “eyes and ears” to the CG during the course of their day-to-day operations via modern e-mail systems. Invite the participation of the American Boating Public to make reports of anomalous activities as part of a broad appeal to American Patriotism. Absolutely, such a program could be easily advertised by radio broadcast, notice to mariners, media advisories and even by the CG Auxiliary itself during public training courses. This option also has the advantage of not having to force fit volunteers who only want to donate information not their time in the CG Auxiliary. On the down side, the CG likely would be rapidly overwhelmed by vast amounts of information in such an “America’s Most Wanted-like” scheme. And, if key reports were mishandled or delayed in the processing, especially in the time period before the CG grows itself to proper size, public confidence would erode. Likewise, an extensively advertised system could potentially be exploited by terrorists groups who might plant misleading information to suit their own ends. Conclusions. As the CG struggles to grow and reshape itself to its new roles in maritime antiterrorism efforts, it must incorporate John Q. Public as an anomaly detector as part of its plan to develop Maritime Domain Awareness. John Q. Public knows the waterfront and who belongs and who doesn’t. The effort to include JQP must be “local” in order to capitalize on the CG’s many pre-existing relationships among industry, law enforcement and the public. It must be linked to regional and national MDA programs in order to rapidly mobilize strategic resources to evaluate local threats, which may develop quickly and require resources beyond regional communities’ capabilities. The 60-year-old CG Coastal Pickets program has great conceptual applications in the modern-day war on maritime terrorism. Today’s CG Auxiliary’s missions must be revamped to incorporate training for Auxiliarists to recognize new indications and warning for terrorist activities and train selected members of the public in new informational awareness techniques. These maritime indications and warnings must be shared with key trusted agents among various waterfront elements, including: industry, harbormasters, local law enforcement, waterfront managers, fishermen and ordinary citizens. In order to form the “complete” picture of maritime domain awareness, both high and low tech means must be used and integrated. New and old lessons must be incorporated for success in today’s war on maritime terrorism. Coast Watch Maine was proposed as a way to enlist the assistance of the maritime community in our communal maritime domain awareness (MDA)- Homeland Security effort. Requesting the assistance of established organizations where the CG and Port Community have established relationships, greatly simplifies source verification: we have their name, their bosses names, their company phone numbers, etc., so when a call comes in from one of these sources we have a high degree of confidence that we can move on the information, or if needed quickly make a call to another source at that organization and verify the information. Verification is critical because with limited afloat assets in Maine, we can’t afford to divert one of those assets to what could potentially be a decoy, designed to draw that asset away from the primary target. Without prior verification, Fishermen at sea become one of many anonymous calls with a low level of confidence in the reliability of the information provided. The CG would very much like to have the Fishermen participate as volunteers in our Homeland Security effort, but verification becomes the primary stumbling block. If we ask fishermen to call to a 1-800 number to report things out of the ordinary, we need a way to verify the information, which if they’re at sea fishing, makes it very difficult. The Coastal Beacon program was designed with this in mind. Fishermen wanting to participate will register in the program and have a representative (CG Boarding Officer, CFV Safety Examiner, CGAux, MMP) visit their boat, check identification, verify the registration/documentation and reporting source ahead of time, give the fishermen a password that only they know so that when they call in, we can quickly establish the call as legitimate. The purpose of Homeland Security is to ensure our safety, and if we have fishermen volunteering for this program, we want to be sure they are safe and not at any higher risk than normal. Without assessing their level of safety there will be a hesitation in asking them to “stay on scene” to monitor the situation because if their vessel has a problem the only CG Asset available will be diverted for SAR and not interception of the potential hostile target. So the second part of the registration, is a quick safety assessment, checking safety gear, bilge pumps, bilges, overall material condition. As it is being done dockside, there are no violations. Then when we get the call, we’ll be able to verify the source and if the boarding results show the Fisherman is at a high risk for SAR, we’ll ask him to head in so that they are out of harms way. If we don’t do a safety assessment, we won’t be able to ask the fishermen to stay on scene to monitor the situation and report any changes, as we divert CG assets to investigate which could hamper the cutters ability to intercept the hostile target. The hesitation in going forward with the Coastal Beacon program is our fear that the fishermen will see this just as a ploy by the CG to get on their vessels. But since we will already be investing a considerable amount of time in just doing the onboard verifications, creating and managing the list of participants, etc, the little extra time to be sure we know the vessels level of risk seems acceptable. The Safety Assessment portion is minuscule in comparison, but without it there may be little value in running a separate program for “Coast Watch”. The next disaster : Ready to respond?